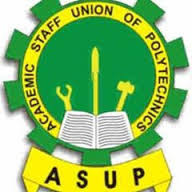 The Academic Staff Union of Polytechnics, ASUP, has thrown its weight behind Academic Staff Union of Universities, ASUU. In a statement by ASUP Secretary General, Anderson Ezeibe, the union noted that the strike was aimed at restoring sanity to Nigerian universities. The union also called on the Federal Government to commence the implementation of agreements entered into with ASUP to forestall an impending crisis in polytechnics. ASUP added that it was concerned about the consequences of the strike on students, parents and society at large. It said, “ASUP notes the renewal of hostilities on the country’s university campuses between ASUU and government of Nigeria. Hmmmm it's time for strike again, this is the time that students graduate after 6years instead of the usual 4years.